After Mumbai, Bhopal became the second centre in the western region to be introduced to a new way of banking. On Wednesday, new cheque truncation system (CTS-2010) went ‘live’ in the city, thus eliminating the need for physical movement of cheques for clearing. Out of 54 major Banks in Bhopal, 14 Banks were ‘live’, on Day 1. The remaining 40 banks are expected to be live by Dec 13 end. The major challenge would be for 8 Cooperative Banks in India, which do not have infrastructure and volumes to be direct CTS Members. They can opt for the Sub-membership route to join the CTS bandwagon. The most interesting part of Bhopal’s history is the rule by a large line of Begums. 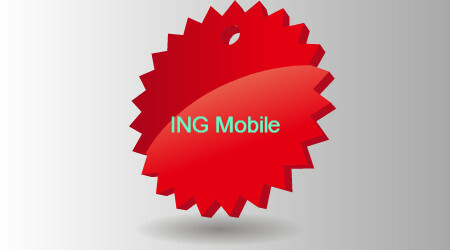 ING Mobile – Let your fingers do the Banking. The Mobile App has been built around IBMs’ MobileFirst solution. “Using ING Vysya Mobile app, customers can now use their mobile devices to pay utility bills, transfer funds to other accounts, view mini-statements, request cheque books, stop payment of cheques and locate the nearest ATM and branches, among many other features,” it said in a release. These services provided by the app will help ING Vysya bankBSE -1.75 % to build an effective ecosystem for its customers to interact across multiple access channels and extend services across India, it added. ING Vysya Bank has a physical presence at 530 locations, with two million plus customers. With the Mobile Banking App, there are no physical geographical boundaries. The IBM Worklight provides secure connectivity with the client’s back-end systems, allowing it to efficiently manage version upgrades, user data and audit data. The IBM Worklight with its BI tools enables the bank to analyse patterns and trends of customer usage. Currently available on the Apple iOS mobile platform, ING Vysya Mobile apps will soon be extended to other platforms such as Android, BlackBerry and Windows Phone. The Mobile Banking App is tagged to a particular Mobile/Table for safety purpose. Thoughtfully, customer can access their application from only a maximum of two devices-One Mobile and One Tablet. If in case if you access from any other Mobile/Device, it will not allow you to login unless you call ING Vysya Bank’s 24*7 Phone Banking and inform about change in your device and request for detagging your Application from your old device. The background RBI circulars are circulars no. DPSS.CO. (CHD) No. 873 / 03.09.01 / 2008-09 dated November 24, 2008 and DBOD.No.Dir.BC. 56 /13.03.00/2006-2007 dated February 2, 2007 respectively. (ii) (ii) delaying the re-presentation of the cheques which had been returned by the paying banksunder technical reasons. Both of these issues result in unsatisfactory customer service. To increase the customer satisfactory levels, RBI has taken into its hands the need to streamline the procedure followed by all banks in this regard. Cheque return charges shall be levied only in cases where the customer is at fault and is responsible for such returns. The illustrative,but not exhaustive, list of returns, where the customers are not at fault are indicated in the annex. Cheques that need to be re-presented without any recourse to the payee, shall be made in the immediate next presentation clearing not later than 24 hours(excluding holidays) with due notification to the customers of such re-presentation through SMS alert, email etc. Though the above steps are a bit harsh on the bankers, in one way, Banks invited RBI’s wrath by increasing the levels of unsatisfactory customer service. And, for RBI customer service is paramount. With majority of Indian Banks on CBS, it should not have been difficult to exclude ‘cheque return charges’, for technical returns. The following 3 fields complete the MICR code on the physical cheque. The MICR Code structure is the same for CTS 2010 as well as non-CTS 2010 cheque leaves. iii) Account number field, consisting of six digits followed by a delimiter, is an optional field. In the case of Government Cheques issued by RBI alone, the account number is of seven digits. The Government Account number is 10 digits in length – 7 digits occurring in the Account number field and three in the transaction code field. In an automated processing of cheques, the banks IT applications usually tag the cheque to the correct account based on the 6 digit short account number and the printed cheque number. (iv) Transaction code field comprising of two digits in all instruments except Government cheques drawn on RBI which have a 3 digit transaction code. Control documents – batch and block tickets – have a three digit representation in the transaction code field. (v) The last field represents the amount field and consists of 13 digits bounded on both sides by a delimiter. The amount is encoded in paise without the decimal point. The first 4 fields are printed at the time of the cheque printing and only the fifth field i.e Amount field is inputted later, as the amount is blank at the time of printing the cheque.